Stumped for blog post topics? Author Blog Challenge to the rescue! A little stumped for subjects for your blog posts? 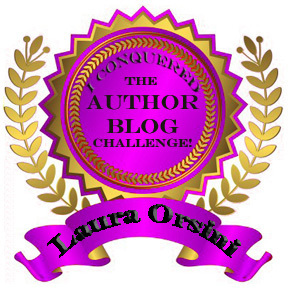 The Author Blog Challenge will help! We’re getting ready to launch the third Author Blog Challenge tomorrow, Sept. 13. This one gets back to basics, with a focus on writing and publishing. Every day of this 5-week challenge (35 days), we’ll offer a writing prompt you can use for the day’s post – or you can write on the topic of your choice. The biggest caveat is that you must have your own blog on which to post! When did you begin writing? Describe your earliest memory of writing. Are you formally trained, or did your writing begin as a hobby? How did your writing habit/process/career develop? A blog challenge is a great chance to improve your writing, draw new readers (and subscribers) to your blog, expose your book/writing to potential new fans, demonstrate your expert status, and connect with other talented authors. Will it take some commitment? Of course! But anything worth doing takes commitment. Everything is spelled out on the Author Blog Challenge site. Peruse the Guidelines­, Prompts­, Giveaways­, and posts­. Then REGISTER­ to take part! Want to learn lots more about launching a successful media campaign to help you build your author platform? Book your complimentary 20-minute consultation (phone or Skype). Or get my comprehensive book, The Author’s Media Tool Kit today! The most recent topic at the Phoenix Publishing and Book Promotion Meetup was “Blogging Success Tips for Authors.” We’ve covered blogging at length before here at the Marcie Brock blog. Here’s link to a number of our posts about author blogging. Determine your goals for blogging. Identify the topics/themes that are important to your target audience. Upon launching your blog, post 40 to 50 days in a row. Decide how often you will post. Use an image with every post. Calendar your blogging time – and stick to it. Write ahead and post later. Let your readers know your posting schedule. Read and comment intelligently on other related blogs. Avoid sending mixed messages, or failing to stay on topic. Make it easy to subscribe to your blog. Get your SEO keywords right. Be patient – results take time. Mind you, this is just the recap of a prior post that expands on all 16 points. During our Meetup, when we got to #4 – upon launching your blog, post 40 to 50 days in a row – the response was pretty typical. Gasps, followed by the one-word question: “Really?” Yes, really. Here’s the thing. Blogs are much more dynamic than traditional websites, because the well-maintained ones are continually adding new content, and search engine spiders love new content. When you’re first launching your blog, you’ve got to prove to the search engines that you mean business by showing up day after day and week after week with brand new content. Once they see new content continually show up on your blog, they will begin to add your data to search engine results pages (SERP), provided that you’ve done a good job tagging each post with proper keywords. Translation: People will type in your keywords and start finding your blog posts. And so it goes. Here’s an excerpt from a post from the most recent client I advised about the importance of blogging. So I was set this challenge by my publicist “write 50 blogs in 50 days” including Saturdays and Sundays. This she promised me will get much needed traffic to my blog. She also said that the blogs should be 300 – 500 words in length and when I can, make the content about something topical. (You just got a piece of free advice). This sounds like work to me. Blogging for me is when I feel inspired to say something or share an opinion. I do not own a television, I stay away from news websites and I do not listen to talk radio. It’s not that I don’t want to know what is going on but I get so disillusioned when I read or hear news that the Ku Klux Clan is recruiting in North Carolina, or about murders by people who are there to “protect and serve”, or about bombs in Israel and Palestine, or that girls are stolen and not yet returned, or about kids who are locked in cars in sweltering US summer heat, or that the media is giving us hope by telling us what movie stars are doing. To maintain my sanity and my peace of mind I usually stay away from all media and live in my own little bubble of words. Maxine Attong has written a new book, Lead Your Team to Win, about creating a Safe Space in the workplace. A #SafeSpace is critical to a well-functioning team because it allows every team member to take risks, learn, grow, and ultimately perform at optimal levels. I’ll have more details soon about her October 3 virtual launch. In the meantime, visit her blog. Her posts are thoughtful and conversational, just like she is. And yet, even though the idea of blogging daily for 50 straight days initially seemed daunting to Maxine, she’s starting to see results, just like my other client did. Just like I did. Just like you will, if you follow through, keep blogging, and trust the process. Sure, it’s easy to get discouraged when it feels like you’re blogging into the wind. Hanging your heartfelt words or well-researched posts out for the world to see, yet no one seems to see them. Remember, you are trying to make a dent in the INTERNET. You are trying to grab your little share of attention, notoriety, and fanfare on a very crowded stage. It won’t happen overnight. And it won’t happen at all if you give up on it, do it haphazardly, or do it once every six months. Follow the steps above and see where it leads you. In 40 or 50 days, come back and tell us how it’s going. Share the link for your author blog with me, and I’ll add it the list of author blogs on my sidebar. I’ve repeatedly made this offer, and have only had 2 takers. You can be #3! Here’s to all my fellow author bloggers! Book marketing is about SHOWING UP! I wonder how many books the library buys just sit on the shelf and never get checked out. They sit there quietly watching people wander the aisles, hoping, “Pick me! Pick me!” They quiver with excitement as the hand reaches out … to grab the book next to them … again. Each time they’re overlooked, they’re saddened that they’re not living their purpose. I also wonder about the path of the books that wind up at the dollar store. The point of this post isn’t to discourage you. It’s to say, I GET IT! It’s a big job to write a book. Bigger still to publish a book you can be proud of. But the really hard work is in creating an interest in your book in the middle of a very crowded field. Bowker (the company that issues ISBNs) estimates there were 391,000 self-published books last year. If you read many book publishing blogs, it’s easy to get down, because so many of them focus on how so few authors are able to make a living at writing and how few authors actually sell books, mostly because they’re just not very good marketers. 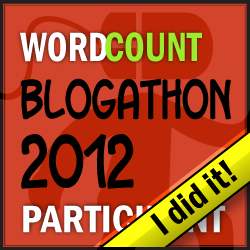 When I first started this blog, three years ago tomorrow, I began with one post and zero readers. Then I added another post. And another post. And slowly the readers came. Now we’ve got lots of regular readers, and new people are subscribing daily. I still get distracted and step away from the blog occasionally, and I never post as often as I want to, but I keep at it, and in doing so, I’ve accomplished more than 95 PERCENT of all bloggers. That’s right. It’s estimated that as many as 95 percent of the 152 million (or so) blogs in existence have been abandoned by their owners/creators. Which just serves to emphasize that one of the most important parts of marketing is to actually do it regularly – to decide to show up and keep showing up! At the start of this blog, I talked a lot about how important it is for authors to think – and act – like marketers. The problem is that very few authors do. That’s why they’re don’t sell very many books and get discouraged. Most authors – most business owners, I think, regardless of their industry – would much rather work on their area of expertise than take on marketing tasks. But if you’re a solopreneur, or an author with aspirations of making a dent in the Amazon chart or guaranteeing that your book gets checked out of the library, marketing has to be a significant focus. It doesn’t matter if you don’t like marketing. It doesn’t matter if you (think you) are not good at it. You must embrace it, or let your fantastic book wither away in a tiny, unexplored corner of the Internet where a handful of people will be lucky to stumble across it. Remember, 95 percent of bloggers quit. How many authors do you think quit marketing, or never get started in the first place? So how hard is it, really, to gain at least some recognition for your book? Books are such interesting items to market because they’re so personal. A book is not a commodity like tires or groceries or things we use and replace. Nor are most books a significant investment, like a car. They’re in the middle there – things we buy to help us solve problems or entertain us or give us ideas or teach us something. Sure, a voracious reader can plow through a couple books a week, but that’s rare, and he or she is more than likely not your market. You are looking to connect with a reader who will value your story or your information or both. And the only way to do that is to find him … which means marketing to him. This means creating a website. It means blogging. It means learning to use social media for things other than posting pictures of adorable animals. It means learning how to create short videos. It means learning how to write news releases and what to do with them. It means finding a Toastmasters group and getting over your public speaking fears. It means partnering with nonprofits that share your goals and vision. It means asking for opportunities, instead of waiting for them to come to you. Yep, at the very least it’s going to take the investment of some time. I run the Phoenix Publishing and Book Promotion Meetup, which meets twice a month for a couple hours per session. Though there are 120 official members in the group, we’ve got about 25 aspiring authors who regularly show up to get educated and share ideas about various aspects of book publishing and marketing. At the end of every meeting, we each announce the action steps we plan to take before the next Meetup. Then we publish those action steps on our closed Facebook group. And at the beginning of every session, we start by asking whether or not people met the goals they set for themselves. This provides accountability and support. Maybe there’s a similar group in your area. If not, who do you know who could help you start one? If you want to spend less time on the marketing, you’re going to need to spend some money. I’m getting ready to launch a marketing mastermind for authors (and aspiring authors) who want to move off the sidelines and really master the art of marketing. If you’ve been reading this blog quietly for some time, but have not acted on any of the dozens of marketing ideas we’ve discussed – particularly out of fear that you still don’t know all you need to know – perhaps this mastermind is right for you. Please email me at mastermind@writemarketdesign.com to request an application. Marketing is not an innate skill for most people. I was blessed to have masterful teachers – but I also had a thirst for knowledge and a willingness to work hard to master the things I learned. You’ve written (or are writing) a great book. Now it’s time to invest in yourself so that you can get that book into the hands of the people who need it! The WordPress.com stats helper monkeys prepared a 2013 annual report for Marcie Brock – Book Marketing Maven. We were quiet for a great deal of this year – and still we managed to snag a few visitors. Woo-hoo! The concert hall at the Sydney Opera House holds 2,700 people. Marcie’s blog was viewed about 15,000 times in 2013. If we were a concert at Sydney Opera House, it would take about 6 sold-out performances for that many people to see us! Click here to read the complete report about how Marcie fared in 2013. What does this mean for our Tip of the Day? It’s simple. Everyone is bound to hit a slow point, a time when your time, enthusiasm, and/or know-how just seem to wane – but that doesn’t mean you have pack it in and give up on your dream of creating a book people like so much they tell everyone they know. Pick up where you left off and … keep on keeping on. Keep blogging. Keep writing media releases. Keep updating your Facebook page. Keep tweeting. Keep building relationships with book bloggers in your genre. Keep pursuing speaking engagements. Keep thanking the people who’ve helped you come this far. Keep setting goals! So what if you fail? At least you’re moving in the right direction – the key word being MOVING. 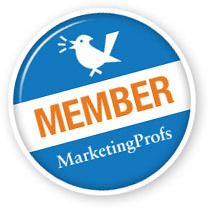 What are your marketing plans for 2014? Share your best ideas in the comments section and we’ll put together a post with all of them!